IT'S been an horrific summer on the Coffs Coast and with our foreign visitors falling victim to the sea Michael Bourne believes there's an urgent need for better signage at our beaches. At around 6.40pm on January 24, Michael was at North Wall Beach when he noticed four tourists struggling in the surf. Despite his body riddled with fractures, he dove in. 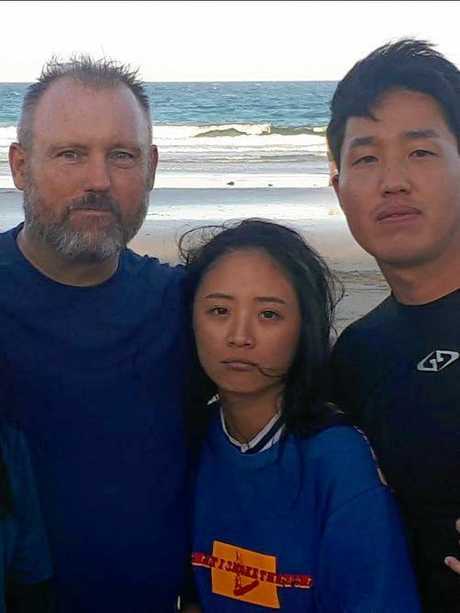 His injuries now exacerbated, Michael spends most of his day in therapy but he admits it's a small price to pay to have saved the lives of the Korean nationals he now calls friends. The unpatrolled dog beach was relatively empty when the four backpackers, who were working at a local blueberry farm, became caught in a rip. Michael and a sole body-boarder witnessed the two women and two men being dragged out to sea. Three months earlier Michael had slipped on a toilet floor at the Gold Coast, fracturing five bones and sustaining a large internal bruise. After months of hydro therapy, Michael finally had his first swim at the Jetty just a week before the incident. "They just got swept straight out, they were exhausted and terrified,” Michael recalled. "I lifted a girl up and carried one of the guys off my shoulder while helping to push the other two forwards. I was trying to get them to breathe more slowly, just to be aware of the waves breaking over our heads. "We reached the boogie-boarder who extended the board out for us. I was able to push them towards him. "When they reached the beach they crashed like Robinson Crusoe. They couldn't stop saying thank you. 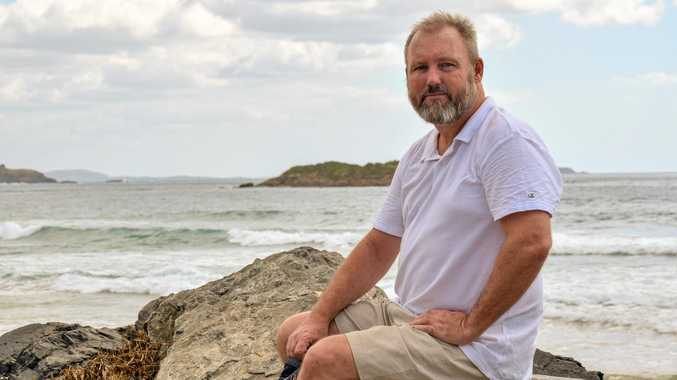 Michael spent the night at Coffs Harbour Hospital and stayed another three nights in a motel until he could walk up the 48 stairs to his own home. 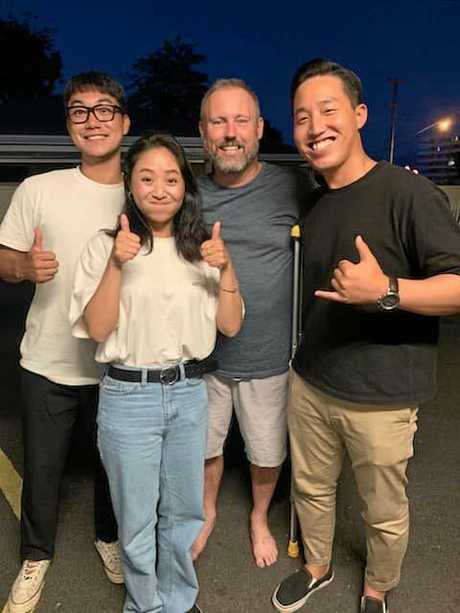 The four backpackers visited him every night, bringing him traditional Korean food. Michael said because of the language barrier, there's an urgent need for signage at our beaches to be of "international standards”. "While one of them spoke fairly good English, the others didn't. While they're very aware of rips now, we need to have a look at international standards for signage. Readers are reminded to never attempt a rescue without a floatation device such as a bodyboard or surfboard. Always swim between the flags at patrolled beaches.